Wallander. Borgen. Forbrydelsen. It’s safe to say that the last few years have seen a steady rise in what can only be described as a worldwide fascination with Scandinavian drama. Self-titled ‘Nordic Noir’, their increase in popularity has been forever enshrined by the ultimate seal of approval – the remake. But where did this captivation come from? Why has it seized the attention and imagination of so many? And is such an all-encompassing engrossment really such a new phenomenon? Perhaps the first significant impact that Scandinavian drama had on other parts of the world was Stieg Larsson’s The Girl With The Dragon Tattoo series of novels. Published posthumously in his home country of Sweden in 2005, they became something of a revelation upon their release – both at home and, soon after, abroad. Swedish movies of each book followed and were swiftly released into cinemas worldwide. From a meagre budget of only $13 million, Dragon Tattoo alone grossed over $104 million globally – a not-so-insignificant chunk of change. Since then, the number of Nordic dramas that have made their way across the water have steadily risen. Shows like Forbrydelsen, Borgen, Wallander and The Bridge have all been broadcast in numerous countries to great success, raising the profile of the actors involved substantially. 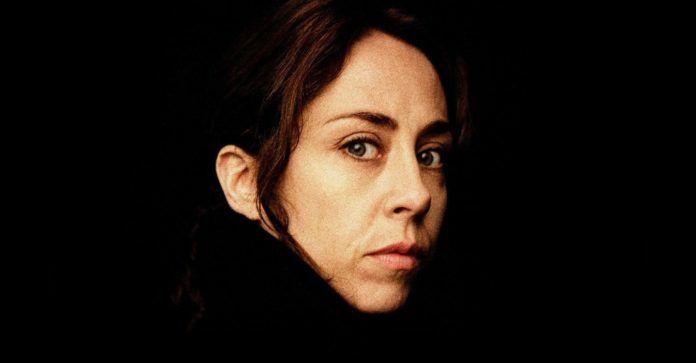 When Sofie Gråbøl, who plays leading detective Sarah Lund in Forbrydelsen, pops up in a dream sequence in British comedy Absolutely Fabulous (complete with trademark woolly jumper), it’s a clear sign that these shows have permeated the public zeitgeist. Not to mention, of course, the fact that nearly all of these shows have now been remade by various networks – and in some cases, more than once. Forbrydelsen became the fairly successful US drama The Killing (which despite the emergency assistance of streaming giant Netflix was cancelled after three seasons), the BBC screened Wallander and then remade it themselves as the Kenneth Brannagh-starring show of the same name, and The Bridge was remade under the same name in the US and in the UK as The Tunnel. Of course the one-that-started-it-all received the remake treatment itself by filmmaker David Fincher just two years ago, casting Daniel Craig as leading man Mikael Blomkvist.The question remains however: why the sudden popularity? Ultimately, of course, this is a question which is rather tricky to answer. Since its swift rise to stardom, Nordic Noir has become a genre unto itself. And like any good genre, it has certain elements and tropes that must be adhered to, that we can see repeating time and time again. Traits and trends are present in everything from horror movies to romantic comedies; the serial killer stalking his high school victims one-by-one, or the discovered betrayal forcing the love-struck couple apart, before reuniting again for the end credits. These are the reasons that people tune in to genre entertainment – they know the loudmouth, arrogant quarterback will probably be the first to go, but that’s not really the point of it all. So perhaps we should begin by breaking down the various shows into their constituent parts and seeing what we find. First on the Nordic Noir checklist has to be a strong female lead. Lisbeth Salander, emotastic hacker heroine of Larsson’s Dragon Tattoo series – check. Birgitte Nyborg Christensen, elected Prime Minister of Denmark in Borgen’s very first episode – check. Sarah Lund, lead detective into Nanna Birk Larsen’s death in Forbrydelsen – check. Saga Norén, oddball but brilliant cop in The Bridge – check. Do people enjoy seeing women empowered in roles traditionally reserved for men? Possibly. It’s clearly a major theme throughout Scandinavian dramas, and certainly it’s something that we’ve come to expect from most of their output. Next up? It has to be the strong socio-political eddies that run deep through many of the shows. The killer in The Bridge strikes at the heart of various failings he sees in the make-up of both Sweden and Denmark: education, homelessness, government. In Forbrydelsen there is a major subplot involving a local election, and in Borgen the entire show revolves around the workings of the government. Finally, the setting of these shows must be taken into account. Usually the stories unfold in bleak, chilling landscapes, permeated by a sense of isolation or loneliness. Erik Skjoldbjærg’s Insomnia portrayed this perfectly – a cop slowly being driven mad by the constant sunlight and his ever present guilt over the death of his partner. Remade in 2002 by Christopher Nolan, he transported the action to Alaska, but successfully retained the sense of seclusion necessary for the story to truly work. Characters, too, carry a sense of darkness and dread with them. They are flawed people, with real imperfections and they make no bones about it. They don’t always act in the way a hero should. They lie, they cheat on their wives, they don’t always strive for the happy ending. And sometimes the baddie gets away with it. The sense of redemption that is nearly always present in British or American dramas is shaky at best here, and often absent altogether. Does this make the shows more real? More compelling? Regardless of the reason, it still doesn’t quite address the original question: Insomnia – both the original and the remake – never really kicked off the trend in Nordic drama the way Dragon Tattoo did. Why? Well, as they say in Hollywood – timing is everything. When it comes down to it, maybe there’s another answer to it all. Something that cuts straight to the heart of the matter. Something simpler. Maybe, just maybe, we’re all caught up in this whirlwind of Scandinavian TV and their various remakes because it’s their time. Confused? Let’s start back at the beginning. Way back – to the time of the western. It’s a fairly well-known fact that John Sturges’ The Magnificent Seven is a remake of acclaimed Japanese director Akira Kurosawa’s Seven Samurai. But that wasn’t the only western to be based on a Japanese movie. The Paul Newman-starring The Outrage is a remake of Kurosawa’s Rashomon, and Sergio Leone’s A Fistful of Dollars is nearly a shot-for-shot remake of Kurosawa’s Yojimbo (unfortunately, however, Leone made the film without first getting the rights from Kurosawa, who successfully sued for a cut of the proceeds – he is rumoured to have made more from Leone’s remake than from his original film). Over the course of just under a decade, we see numerous remakes of successful Japanese films, rejigged and shaken up to fit into a different market. Flashforward a few decades into the late 1990’s/early 2000’s and Asian horror is all the rage, with remakes of Ringu (The Ring) and Ju-on (The Grudge)clearing up at the box office. Is the current fascination with Nordic drama simply an example of our cyclical hunger to latch on to new, foreign entertainment and remake it as our own? Will the current spate of remakes soon peter out over the next few years, allowing us to look back on the decade-or-so of media as merely a fad? If so, it is arguable that we are already entering the decline of the genre – The Killing has been cancelled, The Girl With The Dragon Tattoo did not perform nearly as well as was hoped (so much so that the sequels are on rather unsteady ground), The Bridge has finished its first season in the US to rather average reviews and NBC recently decided not to go ahead after all with their remake of Borgen, titled The Independent. And yet, Scandinavian film and TV is still on the rise. Films like Headhunters and The Hunt are oft-quoted in ‘films of the year’ lists. Season two of The Bridge has successfully retained substantial viewing figures. Perhaps we are looking at this problem the wrong way around – this is not the decline of the genre, but rather the decline of the remake. When Japanese samurai movies were redone as westerns, people hadn’t seen the originals, and likely wouldn’t for a number of years. By the time Asian horror was on the scene, however, it was a different story. Instead of simply enjoying the US remakes, people sought out the originals – often proclaiming them to be far stronger (and scarier) than their US counterparts. 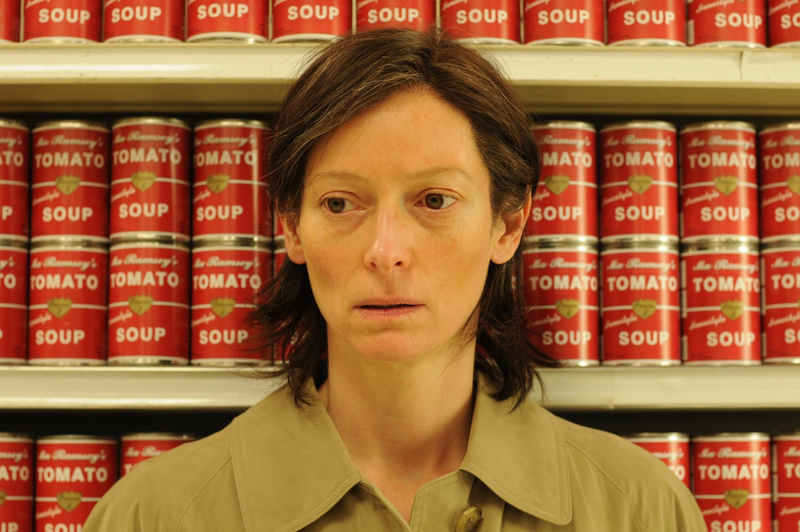 We began to see a gradual shift into what can only be described as an acceptance of subtitled film on a large scale. Today, we find ourselves in a situation where the remake is often too late, made redundant by the fact that the foreign original has already been enjoyed by the vast population. When David Fincher’s Dragon Tattoo was released, it wasn’t hard to argue that it had missed the boat by a good couple of years – everyone and their dog had read the book and/or seen the original Swedish film. People loved Lisbeth Salander long before Roony Mara played her. Indeed, they were maybe even a bit tired of her. The problem with these remakes aren’t simply that they are remakes, but rather that they are unnecessary remakes, coming so swift on the heels of the originals that people haven’t had a chance to breathe, to take it all in yet. Why have we found ourselves in a situation where The Bridge and The Tunnel are both out before the original has even finished its second season? Studios are falling over themselves in their rush to adapt these dramas into English, and isn’t that the real problem? If people are becoming more accepting of subtitles and of foreign entertainment, then isn’t the remake largely redundant? Do people not recognise that a good story is a good story, regardless of the language that the actors are speaking? Given that Scandinavian drama is still performing well (as is Asian horror, incidentally), perhaps we are entering a time of remake-fatigue. There will always be people who refuse, point-blank, to watch anything with subtitles, but it is arguable that they are a dying breed. Nordic Noir has become a viable genre in its own right, and no longer needs the quick remake to introduce it to the rest of the party – it has earned its name on the guest list. Perhaps in time we will look back on this era not as the age of Nordic drama after all, but instead as the age of the subtitle.